The St Michaels Hill pub host the competition every year, with 30 competitive eaters battling it out to win a £50 cash prize, a trophy, a meal for 2 at The White Bear and a bottle of bubbly. Entry costs just £3, but get in there quick – the date’s only just been announced, and places fill up fast. To register, email hamish@whitebear-bristol.co.uk with your name and telephone number, or leave your contact details on their Facebook event page. The rules? See below…it’s about speed as well as quantity! 1. The competition will be broken into 2 rounds with 15 people in each for a total of 30 competitors. 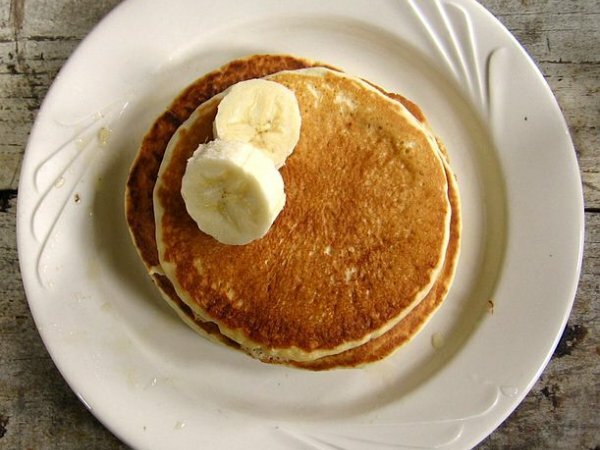 Each person must eat 10 pancakes in the quickest time possible. Your mouth must be completely empty. The three fastest eaters from each round will then compete in the finals and will have to eat another 5 pancakes. 2. No drinking during the competition. Too bad if you’re suffering from dry mouth. 3. Debris. Competitors are expected to maintain a relatively clean eating surface throughout the contest. Excess debris after the contest may result in disqualification. 4. Vomiting. If, at any point during or immediately after the contest, a competitor regurgitates any food, he or she will be disqualified. Vomiting, also known as a “reversal”, includes obvious signs of vomiting as well as any small amounts of food that may fall from the mouth deemed by judges to have come from the stomach. Small amounts of food already in the mouth prior to swallowing are excluded from this rule.